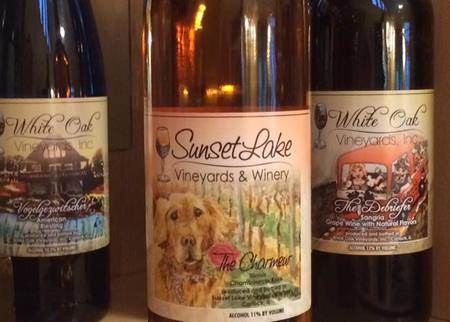 At home in the Heart of Central Illinois, Sunset Lake Vineyards is pleased to share our passion for wine, our love for the land and our German heritage. Our tasting room boasts a comfortable, warm and inviting atmosphere perfect for gatherings with family and friends. The wrap around porch offers you lovely views of our vineyards and the surrounding countryside. 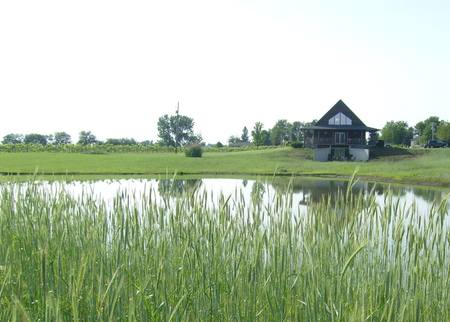 We invite you to spend an afternoon or evening on the porch or beside the pond watching the birds floating in the sky or gaze at the breathtaking sunsets that only the Heartland can offer while sipping on one of our many tasty wines. 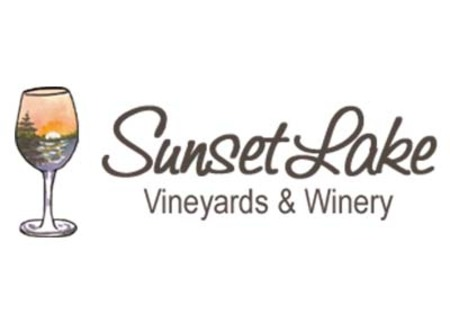 Once you have experienced Sunset Lake Vineyards, our excellent wines, the tranquility and beauty of the surroundings and our genuine German “Gemütlichkeit,” you will feel bound to come back again and again.